Sins are like chains and locks preventing their perpetrator from roaming the vast garden of Tawhid and reaping the fruits of righteous actions. It’s meaning - There is none who has the right to be worshipped except Allaah. 1. 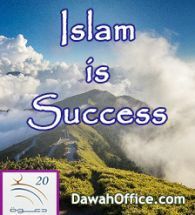 `Ilm (Knowledge): Knowledge of it’s meaning - what is confirmed by it and what is negated by it. 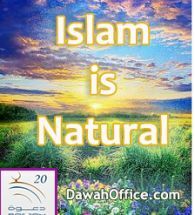 As previously stated it was mentioned that the meaning of: “There is none that has the right to be worshipped except Allaah” is that all other objects of worship that mankind set up as partners with Allaah are false. 2. Yaqeen (Certainty): Certainty of it’s meaning, free from doubt or suspicion. This means on must be upon certainty that none has the right to be worshipped except Allaah. 3. Al-Ikhlaas (Sincerity): This means the sincerity the servant has towards only his Lord, in all acts of worship. 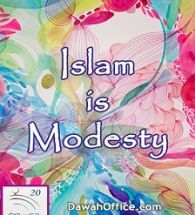 For example, if anyone deviates from this sincerity to Allaah and directs it toward a Prophet, a walee, an idol, a king, the jinn or any other false object of worship, than certainly he is guilty of committing shirk (polytheism) and has contradicted this condition of the Shahaadah (testimony of Faith), which is Sincerity. 4. As-Sidq (Truthfulness): It’s meaning is to speak the truth in order to remove any traces of hypocrisy. This is the meaning of Sidq. It also means to observe truthfulness with the tongue as well as the heart. If sidq is only observed by the tongue and not by the heart, then this condition of sidq (truthfulness) has not been met. 6. 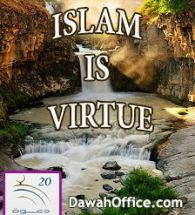 Al-Inqiyaad (Compliance): One must comply with the obligations of the Shahaadah. This means to carry out all the obligatory duties with faith and certainty that these obligations are the rights your Lord has over you. 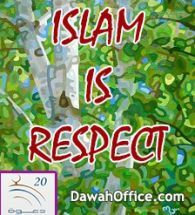 If one fails to worship Allaah and to adhere to his Legislation, showing arrogance and animosity towards it, then he is not from the believers, as was the case with Iblees (the Devil) and others of his nature. 7. Al-Qubool (Acceptance): One must accept the Shahaadah and its meaning. This means accepting all its conditions with sincerity and worshipping only Allaah. It also entails leaving off that which is worshipped besides Allaah as equals, whilst being firm on this and pleased with it. 8. Rejection of anything worshipped besides Allaah: The meaning of this condition is that one must stay clear of and distance himself from all acts of worship other than the worship of Allaah. And he must recognize, with certainty that all acts of worship, which are not done solely for Allaah, are false and to be rejected.